Today, a very special person in my life has a birthday! Most of the girls in our friend group are totally rocking into our 30th year this year. My beautiful best friend Micki has graced the world with her lovely presence for 30 years today! 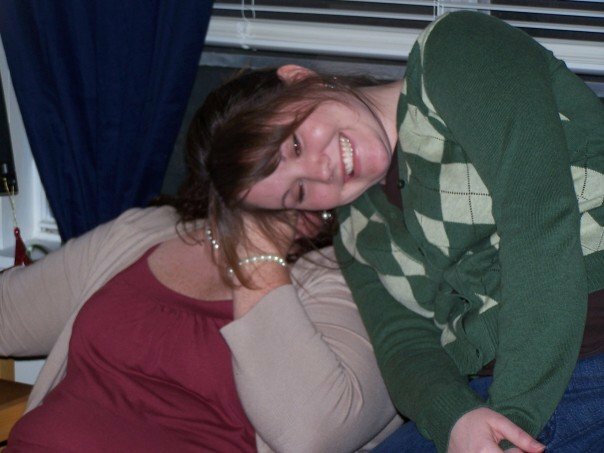 In honor of the celebration of her birth, I dedicate this blog post to her and the role of best friend she’s played in my life for almost 10 years. modish, magnificent, memorable, magical, magnanimous, marvelous, modern, majestic, merry, motherly, melodic, motivating, meticulous, modest, mighty, mannerly, meaningful, merciful, masterful, muti-talented, maternal, married, magnetic, marshmallow-lover, marketable, matchless, mature, mesmerizing, missed, and MY best friend! 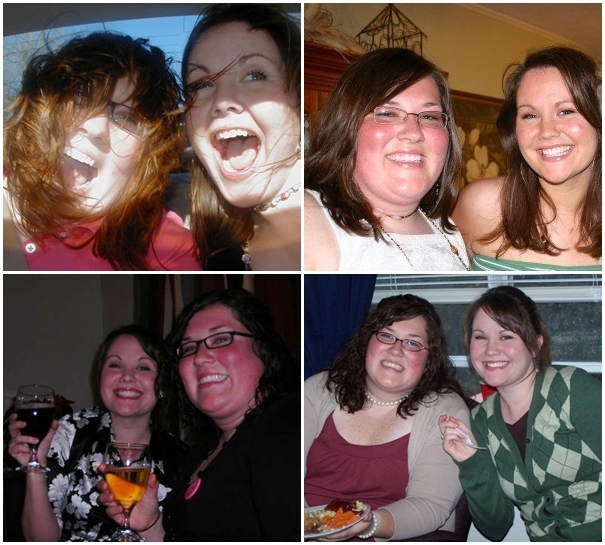 In honor of your 30th Micki, I found 30 pictures of us on Facebook! Did you know that in the very first picture ever tagged of me on Facebook, I’m standing next to you?? 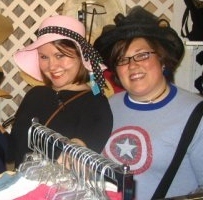 We met as strangers in 2003, 10 years ago this summer, at Camp Garaywa as we debriefed our summer missions experiences. That day was the last day we’d ever be strangers again. 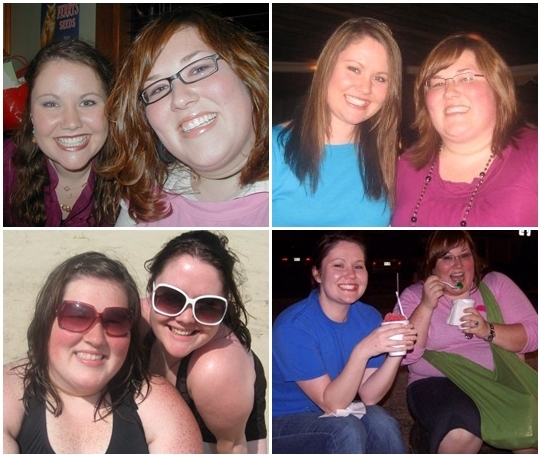 We both started as transfer students at Mississippi College that fall and were pretty much inseparable from then on. The early years. Some things haven’t changed at all. We can still have fun doing just about anything. We can go months (which we shouldn’t!) without talking and feel just as close as we ever have. We still both like really grandma-ish nightgowns. And I can’t recall a time I’ve ever been around you and not giggled at least once. However, a lot has changed! From serious things to jobs, homes, losses, marriage, and babies to silly things like… We are a heck of a lot better at making good hair choices than we were in these pictures that are (thankfully) a bit blurry. You are a great secret keeper. I always, and have always, known I can confide in you with anything. So many memories. So much fun. So many stories. We could write a book! 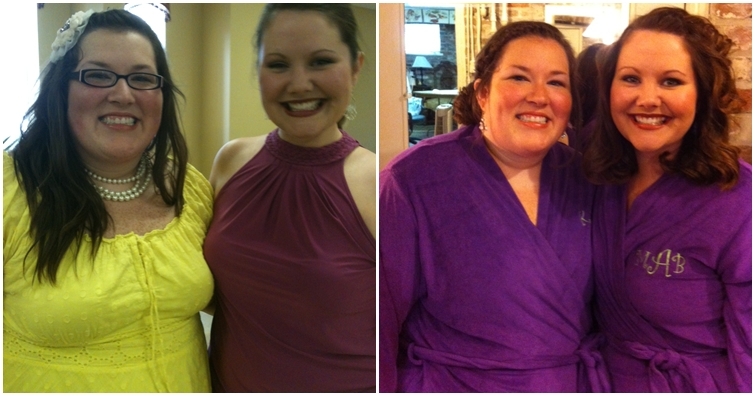 We could also write a book called, “How to Be a Bridesmaid.” How many weddings have we been in together? How many showers have we planned together? It cannot be denied by anyone that we make a good team! We learned how to cook together. We learned how to be grown ups together. We learned how to not get lost (okay, we didn’t learn that skill TOO well yet) together. 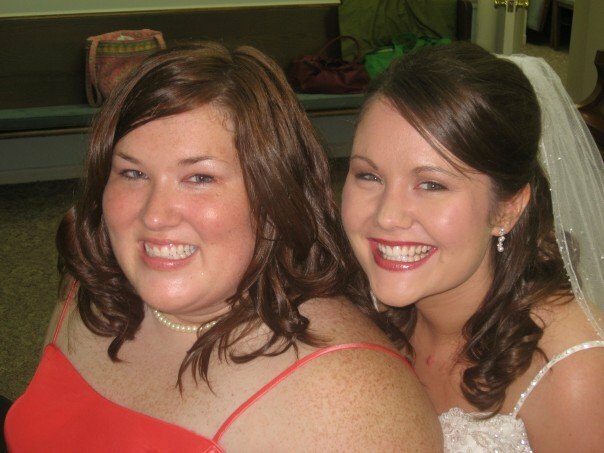 We learned how to be Mississippi girls, living in a big, not Mississippi town together! We also learned that we don’t care about tans and embrace our paleness together. And though many who met me in later years may not believe it, if it weren’t for you I would have never been the obsessed Harry Potter fan I am! Thank you for putting that book in my hands so many years ago and forcing me to read it. And then for rewinding and playing back the owl parts over and over again in slow motion while we giggled eating cinnamon sticks from Pete’s Arena in your dorm room. I wish we could both always live in the great state of Mississippi and be neighbors. I’m excited for your adventures and where life brings you even if it doesn’t bring us to the same places. 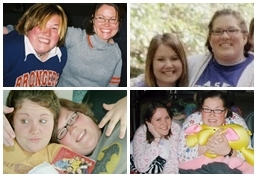 And I’m oh so thankful that I can always depend on seeing you at the annual Friendmas Party (and many times more a year of course, but the Friendmas pictures were a good theme)! We were at the first one, and if there ever is a last, we’ll be at that one. We found a friend group together! The best one too. Thank you for letting me be part of your life. Thank you for being part of mine. Thank you for the beautiful friendship you give me, and so many others. I’m beyond thankful that I have had the privilege of being a best friend, by your side, for so many great things, like your wedding, and so many things to come. The snapshot to the left isn’t even one of the best ones, or planned, but so symbolic to me! I will always be here, standing by your side, your best friend. 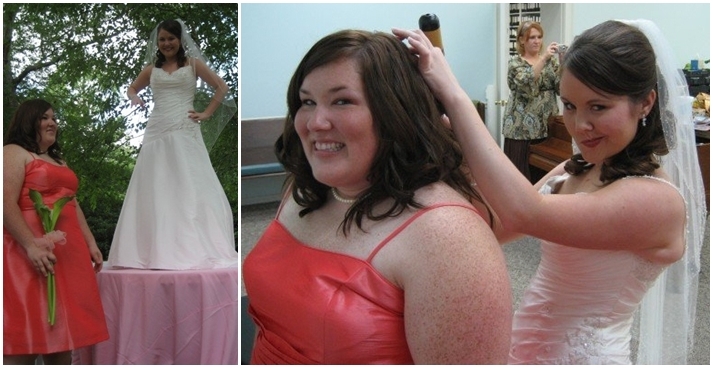 And one day when I get married I promise I’ll do your hair too! I love you more than any of the words in this blog post could ever say. Happy birthday best friend!